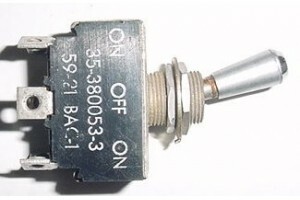 Beech Bonanza Three Position Toggle Switch with 6 prongs. P/N 35-380053-3 or 8906K1068. It was removed from a salvage aircraft.